I have made a few cards to help raise money for Relay. I sell them at school and all proceeds go to Relay. 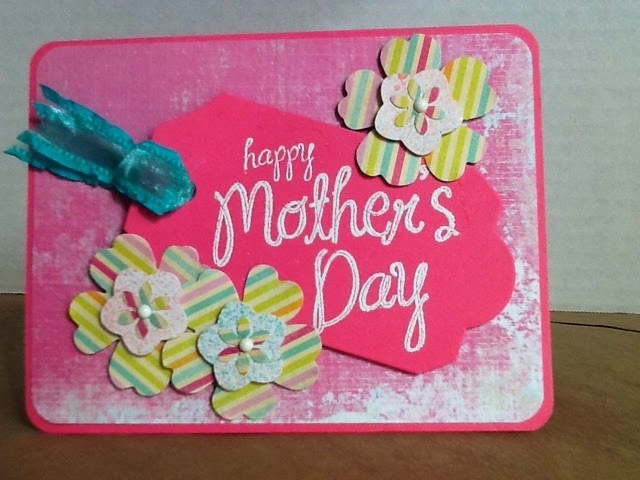 I love this card as it is so feminine and bright. The tag is from PTI and the sentiment is from Stampin Up as well as the pansy punch. The other smaller punches are from my stash. The ribbon is from Pretty Pink Posh! The next thing I made was a "thank you" card set. All materials are from Stampin Up. Love your cards! The card set is adorable, that would make such a great gift! The packaging is so cute!! Hope you have a great weekend!